We’ve all heard the saying, “A picture is worth a thousand words”. It’s a phrase that’s meant to convey the fact that an image can create a whole array of thoughts, ideas and conversations without uttering even one single word. Pretty powerful stuff and exactly why the images you choose to complement your online content are so important. The right images can draw your customers in while the wrong image, well, let’s just say that choosing an inappropriate image can have severe negative consequences for your business reputation. If you’re sifting through images looking for a few ideas for your website, you’re not alone if you’re having difficulties and it’s often not as easy as it looks. But keep in mind, there are huge differences between a good image and one that is great. The trick is in knowing which ones are which. Good images are predictable. They get the point across sure, but they lack creativity and imagination. In a way, the work is already done for the eye. By contrast, a great image hits you in the face like a ton of bricks. It’s not offensive, it’s just not expected and it lets the mind fill in the gaps, whether it’s humorous, tragic, or thought provoking. 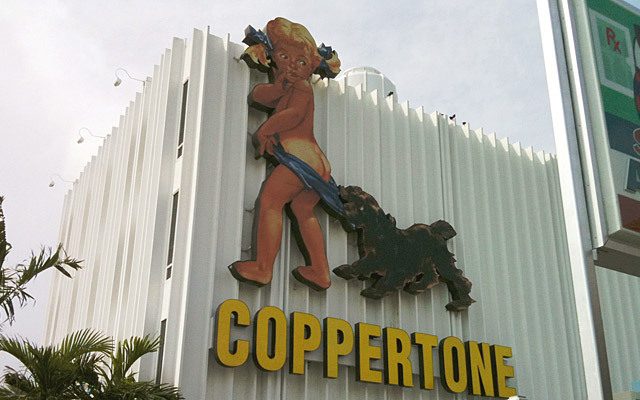 Remember the Coppertone commercial from years ago where a puppy playfully exposes a little girl’s suntan? It’s not expected. Yet it’s highly original and mega-successful. It’s easy these days to find a variety of what are called “stock” photos. In many cases, they are easy to find and in some cases, they’re even free. But here’s why. Everyone uses the same images over and over and each one is dull, lifeless and overused. Maybe you can find a diamond in the rough somewhere, but chances are great that the photo has been used hundreds if not thousands of times before. If your business wants to differentiate itself, stand apart from the crowd and be memorable, the best way to do it is with custom images that are unique, highly engaging and emotive. The perfect image evokes a sentiment that is difficult to emulate. It doesn’t have to make you cry or laugh until the tears come rolling down your cheeks. Instead, the perfect image should move you. It takes you outside of the comfort zone you happen to be in at the moment and causes you to escape to wherever the photo brings your mind. Yes, it sounds a bit sci-fi, but the truth is, it happens every day in advertising, most of us are simply unaware. Finding the right image for your online business doesn’t have to be overwhelming. It takes a little creativity, tenacity and the ability to envision what a consumer might want to associate with a product or service. The right image is a powerful tool for evoking emotion, forging connections and communicating important messages without saying a word. For customized images that stand apart from the crowd, consider REM Creative Group for hand drawn illustrations from master artists. Differentiate yourself with the best and watch how powerful an image can be.